Glenglassaugh Scotch Whisky Distillery was built in 1875 and is in the Speyside region of Scotland. This distillery closed for production for a long while till it was bought over Dutch investment group Scaent who restarted production late 2008. 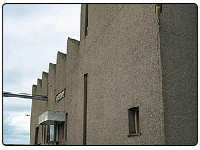 It was opened on 24th November 2008 by the First Minister for Scotland Alex Salmond MSP. One of the bottles this distillery produced before its closer was Glenglassaugh 12 Year Old. So hopefully in a few years time we will once again see quality malts coming out of this distillery. Only time will tell and we are all looking forward to seeing Glenglassaugh first new range of malt whiskies. You can also view the single malts that are on offer from this distillery on this website or click on the below banner to see what Single Malts Direct have on offer for this distillery.